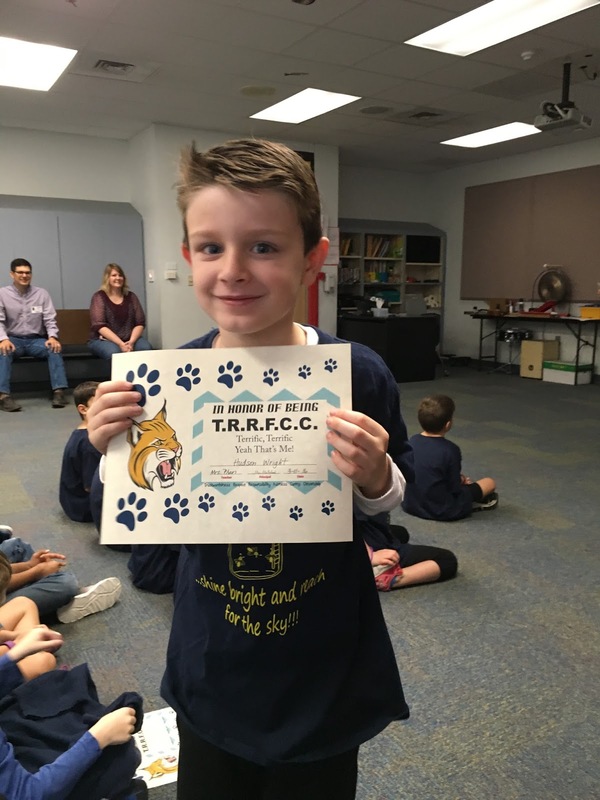 This week was Hudson's class' turn to lead the school announcements on their daily morning "TV" broadcast to the school's classrooms and do a presentation at their school assembly on Friday..
Bee Cave Elementary wants their students to have TeRRiFiCC character. 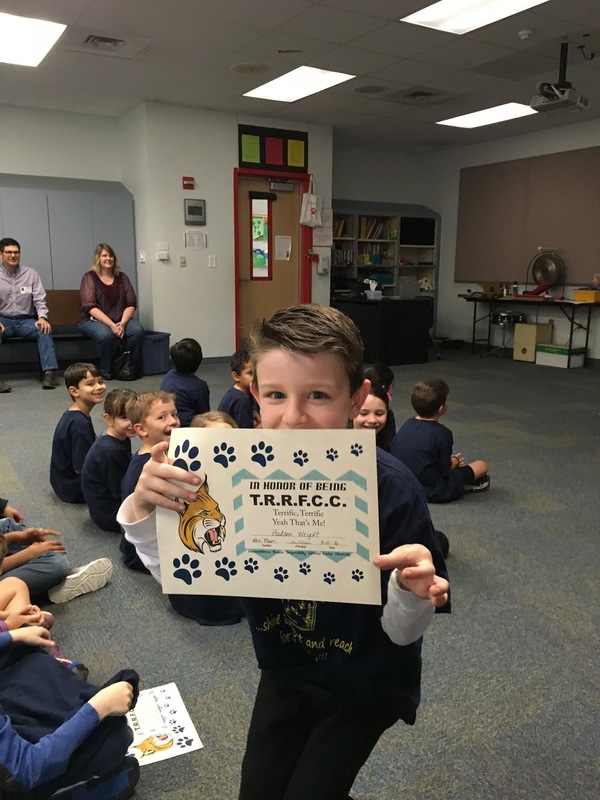 (Trustworthiness, Respect, Responsibility, Fairness, Caring, and Citizenship) Hudson's class was leading the discussion on Trustworthiness. Here he is opening the announcements and leading the pledges. (Yes, we pledge to the Texas flag, too. It is Texas after all; a whole other country.) You can skip through the pledges, but there is a cute little part at the last couple seconds of the video too. Here he is closing out their part of the announcements. He got a little nervous because he had to pick up an extra set of lines as one student ended up being out sick, but still did a great job. On Friday their whole class did a presentation in front of the school at their assembly. Here are a few photos from the "after-party" where they got awards from the principal and their teacher for being TeRRiFiCC students after. He did a great job and was so proud of himself.